Once in a while, somebody comes along and introduces a technology that makes you feel like you just might live to experience the sort of future that you thought only existed in sci-fi movies. That’s how we felt when we heard that Amazon.com founder and CEO Jeff Bezos announced a flying robot drone delivery system. Bezos reveals the technology in an interview with 60 Minutes and shows us how it works. When a customer orders a product and selects drone delivery, the package is picked up from one of Amazon’s warehouses and flown to a customer up to 10 miles away from the warehouse. 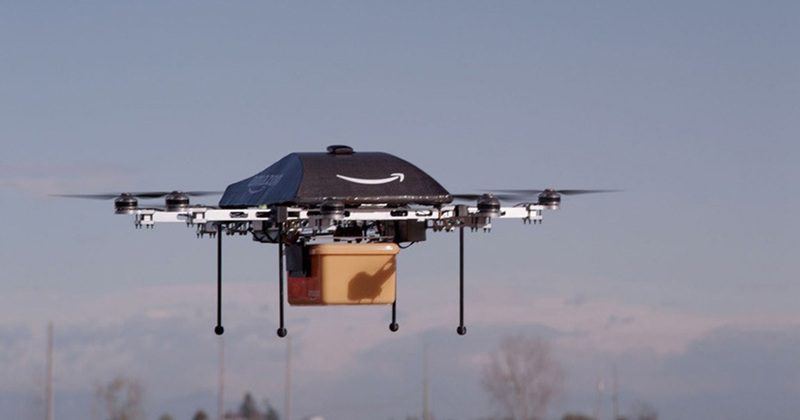 The drones will be fully robotic and will find their delivery locations by GPS. The project can’t go live any earlier than 2015, when the FAA is expected to approve rules for the drones. While the drone in the video seems noisy, it can’t be denied that 30-minute delivery would be very convenient, and because the drones run on electricity, it would be a greener delivery vehicle than a truck.